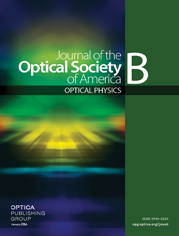 Transmission of a femtosecond soliton is analyzed in a model of a lossy fiber with periodically installed pointlike amplifiers. The model incorporates dispersion of the losses, the Raman frequency downshift, and a finite amplification bandwidth. The analysis is focused on the case in which spacing between amplifying pulses is large, so that the pulse must be strong enough to reshape the attenuated soliton. It is demonstrated that evolution of the soliton in this model is governed by a two-dimensional map that defines the soliton’s peak power and central frequency after a given amplification pulse as functions of their values after a previous pulse. The map is considered analytically for the limiting case in which the frequency shift between the spectral maximum of the amplifying gain and the minimum of the dissipative absorption is large enough to permit reduction to a one-dimensional map in terms of the soliton’s peak power only. It is demonstrated that the one-dimensional map has a nontrivial stable fixed point, providing stable transmission of the soliton. An important generic feature of the reshaping regime with large spacing between amplifiers is that the strong amplification pulses inevitably produce additional parasitic (secondary) solitons. In terms of the same one-dimensional map, a regime of operation is found in which only transmission of the primary soliton is supported while all the parasites are completely destroyed by the losses. This regime is based on a sufficiently narrow gain bandwidth.